Most storage solutions require you to set aside space in your home for dressers, bookcases or other fixtures. If you have limited space, things can quickly begin to look cluttered. Built-in cabinetry, however, fits in cleanly with your walls and existing structures of your home, therefore saving you space. Again, it’s a larger upfront investment, but you’ll save money in the long-run by not having to keep adding new furniture or storage pieces. Visit a home that has built-in cabinets and you’ll notice the sleek, streamlined look rooms get from this storage solution. They look elegant and well-planned, not messy or cluttered. Built-in cabinetry can utilize small and awkwardly shaped spaces (think of the area under your stairs, or the space between your refrigerator and kitchen wall). 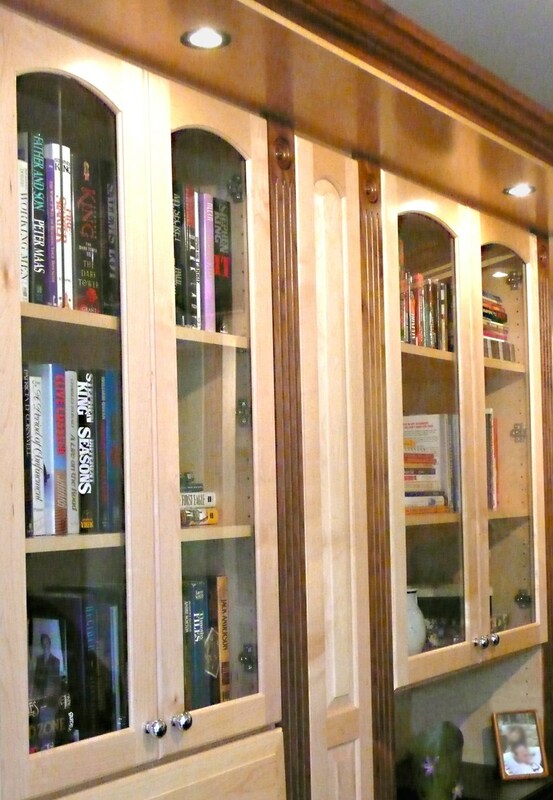 And having custom built-in cabinetry lets you create a cohesive look to your entire house. This is where Closets & Cabinetry can help, by creating an efficient, usable storage space for your home. Our expert design team is ready to help you find custom solutions for your storage needs that address the layout of your room. Contact Closets & Cabinetry by Closet City today and we can get started on a custom built-in cabinetry design that’s right for your home!